As part of the criminal justice reform bill currently making its way through the Massachusetts legislature, youth advocates are pushing to include sections specifically dealing with the over-reliance in schools on police to handle behavior issues. Among these sections include one on training school resource officers to minimize the use of arrest, and two others address the charging of students for non-violent behavioral problems. 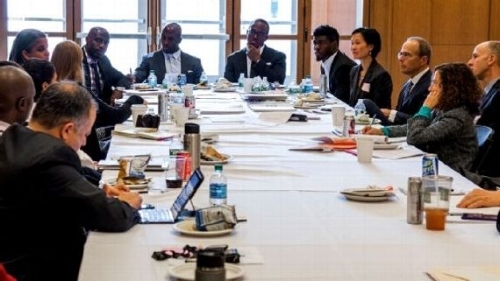 Read this powerful Op-Ed by influencers from the Patriots following a day of discussing youth incarceration in Massachusetts with YAF, CPCS, and other juvenile justice advocates. The Patriots' Devin McCourty, Jonathan Kraft, and Robert Kraft wrote an Op-Ed in the Boston Globe last weekend on juvenile justice reform in MA, and the urgent need to stop criminalizing our youth. Read the excerpt below, and check out the entire article here. THE NEW ENGLAND PATRIOTS represent a six-state region and we are grateful for many things, including our region’s national leadership in improving our justice systems, especially for children and youth. The Patriots organization cares about the safety of our communities and we know the best place to start is with our youngest members. If we get it right with our youth, they will become our future leaders, neighbors, and trusted colleagues. Continue to The Boston Globe. Also, this past week there was an NFL Segment on Listen and Learn featuring Patriots players, president Jonathan Kraft, and CPCS, YAF, and other criminal justice advocates. The Youth Advocacy Foundation is so thrilled to be part of John Hancock's Non-Profit Partner program for the 2018 Boston Marathon! We have two very ambitious runners, Michele Scavongelli, Jacquie Boudreau, and Grace Hennemuth whose fundraising efforts have gotten off to a great start! We can't wait to continue following #TeamYAF's progress, and providing you with regular updates on their training and fundraising status! Thank you to everybody who has been such ardent supporters of YAF! The Impressive Top-to-Bottom Makeover of the Massachusetts Juvenile Justice System: Why the state started asking what resources, opportunities, services or supports do youth offenders need in order to be able to behave better instead of viewing them as “super-predators” needed to be taken off the streets.